Working closely with the seasoned professionals at Colliers St. Louis, Justin focuses his brokerage practice on occupier services, specifically for office property. With a rich and diverse background in business development, Justin fosters relationships with clients helping them generate targeted solutions with an interdisciplinary approach. He is passionate about bringing together Colliers occupier services team with office clients to find innovative yet disciplined approaches to reach the best results. His customized, team oriented approach is supported by his desire to work earnestly to listen to what matters most to clients. As a believer in the strength in numbers style, Justin strives to focus on advisement that is both effective and efficient. Prior to entering into the commercial real estate industry, Justin worked with Cintas Corporation as a sales representative working with small to large business owners. He has also worked for companies such as John Henry Foster, Savvis Corporation, Energizer and Target in various business development roles since graduating from Truman State University in 2005. Over the years, Justin has been heavily involved in investing in his community through serving with Mission St. Louis and through several leadership positions at The Journey Church. Glenn takes a consultative approach to his real estate advisory practice. He works strategically with clients, helping them identify and execute optimal buy, build, or lease solutions. Many of his clients are St. Louis-based, privately-owned companies and not-for-profits with various professional services and healthcare focuses. With over 32 years of occupier/owner representation experience, Glenn’s advised clients in hundreds of commercial acquisition, disposition, leasing, consulting, development, asset management and investment related assignments. 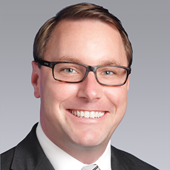 Prior to joining Colliers, Glenn was First Vice President with CBRE’s St. Louis office. Before this position, he was co-founder of Discovery Group. Established in 1996, Discovery Group was a boutique real estate firm based in the St. Louis region focused on development, consulting and specialty services for corporations, healthcare systems, non-profit organizations, owner/operator businesses and private investment concerns. 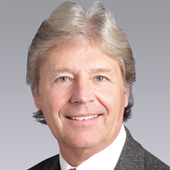 Glenn entered the commercial real estate industry in 1984 with the former firm Krombach & Associates. Serving a diverse occupier/owner client-base, Ted’s comprehensive market knowledge combined with a consultative approach when representing his clients’ interests has repeatedly led to success. Since entering the commercial real estate industry in 2001, Ted’s measured this success by providing strategic solutions to clients resulting in reduced occupancy costs and increased lease flexibility. Licensed in both Missouri and Illinois, Ted has advised clients through multiple acquisition and disposition requirements, many of which have multiple locations throughout the greater St. Louis region. Prior to joining Colliers, Ted was with CBRE’s St. Louis office. He began his career at Insignia/ESG before the firm was purchased by CBRE in 2003. Throughout his career, Ted’s represented a number of banks, professional services firms, healthcare and educational systems, not-for-profit and for-profit entities including organizations such as Mercy Health, Special School District, Washington University, Fifth Third Bank, Ricoh and more. Outside of his industry involvement with the brokerage community, Ted enjoys fly-fishing, golf, running and other outdoor activities. Ted is married with three young children.